You want your little ones to have gorgeous, healthy smiles, but sometimes it can be tough to help them care for their pearly whites. You have to teach them how to brush and floss, and you have to make sure they have the tools to fight cavities. Choosing the right toothpaste for your kids is important! 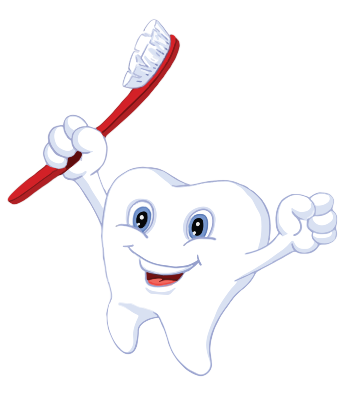 Your children’s dentist in Thornton is here to give you guidance on how to find a toothpaste that your kids will love and that will be great for their oral health. You might constantly tell your children not to swallow the toothpaste, but it will happen on occasion. You don’t want them to accidentally ingest anything that isn’t good for them. For this reason, try to stay away from kinds of toothpaste that contain artificial dyes or preservatives. If you’re aiming for natural, you might try Tom’s of Maine Natural Anti-Cavity Toothpaste for Children in Outrageous Orange-Mango flavor. It is made of 100 percent natural ingredients, and it is effective at fighting bacteria. The flavor comes from real fruit juice, so you’re even avoiding artificial sweeteners when you choose this toothpaste. Another good option is Weleda Mint Children’s toothpaste. Like the one from Tom’s of Maine, it is all natural. It’s especially good for children who have sensitive gums since it is so gentle. There is some debate over whether fluoride is necessary for a healthy smile, but science rules in favor of fluoride. Your kids’ dentist in Thornton will tell you that this substance promotes healthy tooth development and contributes to remineralization — that is, it helps to replace minerals that tooth enamel loses throughout the day. Just be sure that you keep the toothpaste somewhere your kids can’t easily access it without your permission; some children’s toothpaste taste good—so good that your children might be tempted to swallow large, unsafe amounts. Colgate Children’s Toothpaste is an ADA-approved product that comes in a package with a fun toothbrush. It does have some preservatives in it, though, so reserve it for kids who are over five years old. As a grown-up, you might be perfectly happy with your minty toothpaste. However, your children might want a different flavor, like bubble gum or strawberry. Many kids’ toothpaste are designed to appeal to your little ones’ taste preferences. They’ll look forward to brushing their teeth if they know they’re in for a treat! 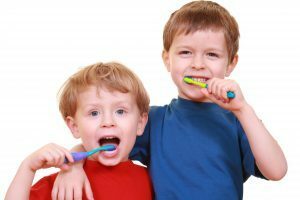 When you bring your kids into their pediatric dentist in Thornton, you can discuss the best dental care products for your little ones. Your dental care professional might suggest specific products or ingredients that your child could especially benefit from. Shopping for kids’ toothpaste? Choose one with fluoride, natural ingredients, and a fun flavor. Your child’s smile will thank you! Dr. Derren Tippets is your pediatric dentist at Treasured Teeth. Along with Dr. Michele Lacy, he provides top-notch care for young smiles. If you have questions about how to keep your children’s smiles in their best possible condition, contact Treasured Teeth’s Thornton office at 303-536-3837.